Members of Local 2545. 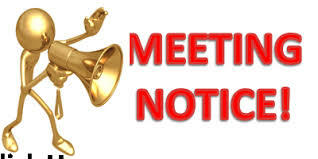 It is that time of the month that we will gather as a membership and find out what is happening. We have had delegates that traveled to National Convention who will share the experience, we have some committee reports, and some new business to discuss. Locations Representatives will be given updated calendars, and December’s meeting date. If you are interested in finding out what being a location representative involves feel free to ask our communicator Judy Ferre. We are meeting at 4:30 pm at District Office, can’t wait to see you there!